I can’t tell you how many times I see individuals and big dumb companies trying to run promotions… that take advantage of some upcoming event, or a recent newsworthy item. Most of these promotions are average, at best. But MANY times — especially when the newsworthy item was tragic — these are some of the CHEESIEST promotions you’ll find. Trying to take advantage of a death, or an illness, or someone else’s tragedy, and make money off it, is just twisted. On the other hand… once in a blue moon, you’ll get a promotion that shows a company has real class. In fact, I just received one, a few minutes ago, from Tijuana Flats. 1. People LOVE doing business with people they like. 2. Some teachers will come in with their non-teacher friends. 3. 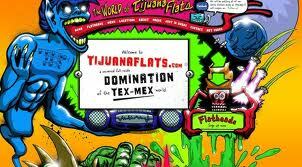 Anyone who wasn’t eating at Tijuana Flats before, is certainly going to give them a shot, because of how cool they are. It’s nice to see a company that’s more interested in giving, than receiving. I don’t know how you feel, but I HATE when people are “pretending” to be genuine, when all they’re doing is trying to get your money. Don’t get me wrong — there’s obviously nothing wrong with making money, and I send out a shitload of e-mail and blog posts for this exact purpose. But I’m not pretending I’m running a 501(c)3 (not-for-profit), either. Nor am I telling you I’m doing something in the name of philanthropy, when it’s really in the name of George Washington. Besides, people aren’t stupid when it comes to this stuff. You can smell a rat when you see droppings, right? Of course. Which is why it’s so cool to see promotions like this. We eat at Tijuana Flats from time to time (BEST chips and salsa here in Tampa), and because of this promo, I’m going to make SURE we stop by there and grab some dinner, VERY soon.